Details have been revealed on what some of the UK networks will be doing about FaceTime over 3G on Apple’s iPhone in the UK, according to a recent report from Wired, UK mobile carrier Vodafone will require that you have a VoIP add on to use the service on their network. AT&T in the US is doing a similar thing, and has come under quite a nit of criticism for it, and no it looks like Vodafone in the UK is doing the same. In order to use FaceTime over 3G on Vodafone in the UK, you will either need to have a compatible plan which includes the VoIP service or you will have to purchase a VoIP add on plan to your existing plan. It might be worth avoiding Vodafone for the new iPhone 5 if you want to use this service, as O2, Orange, T-Mobile and EE have all confirmed to Wired that FaceTime over 3G will be included as part of their existing data plan. Updated 13th September 2012, 3.51 PM. Vodafone just sent us an email with a statement regarding FaceTime Over 3G on their network in the UK, you can see the full statement below. 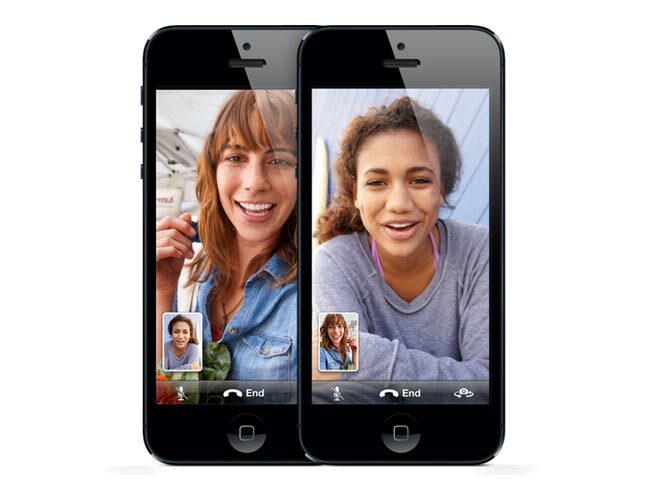 The iPhone 5 will be available on Vodafone Red plans, giving customers access to Voice over IP services (including Facetime over 3G) as part of their data allowance. Existing pay monthly iPhone 4 and 4S customers on price plans of more than £40 a month already have VoIP included and anyone can move to Vodafone Red plans without extending their commitment provided they pay the same or more each month. This also enables them to benefit from unlimited calls and texts, which we believe offers them great value. Alternatively, they can purchase additional data (£10 per month for 2GB) to access Voice over IP.